Need a Favor? Get Creamed.! Each hand cut bar weighs 2-2.5 oz each. 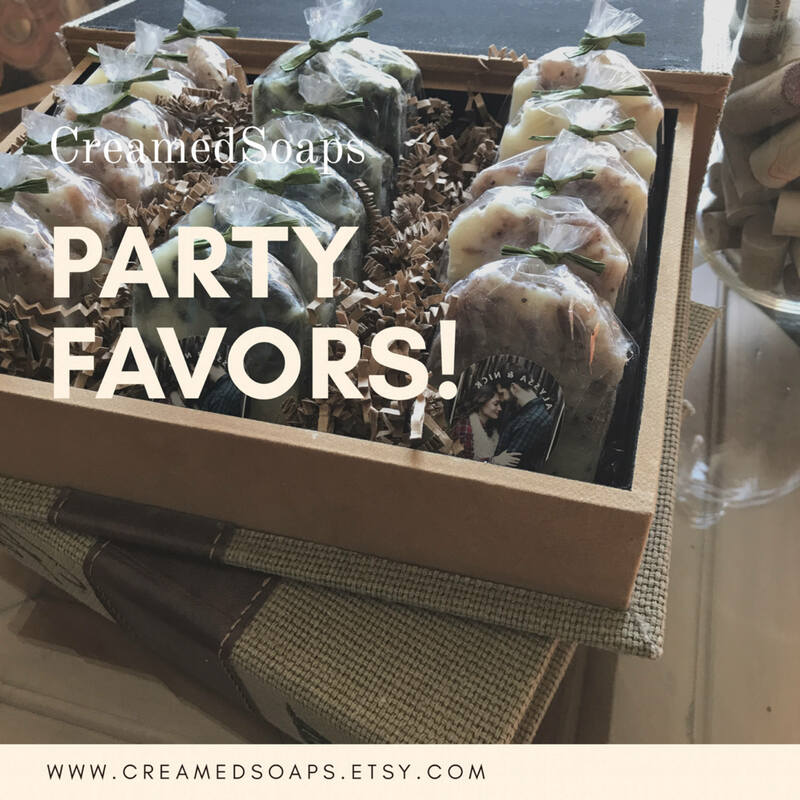 They are the perfect way to commemorate a special occasion like an anniversary, baby shower, engagement, opening of a new business…or even just a fun hostess gift. 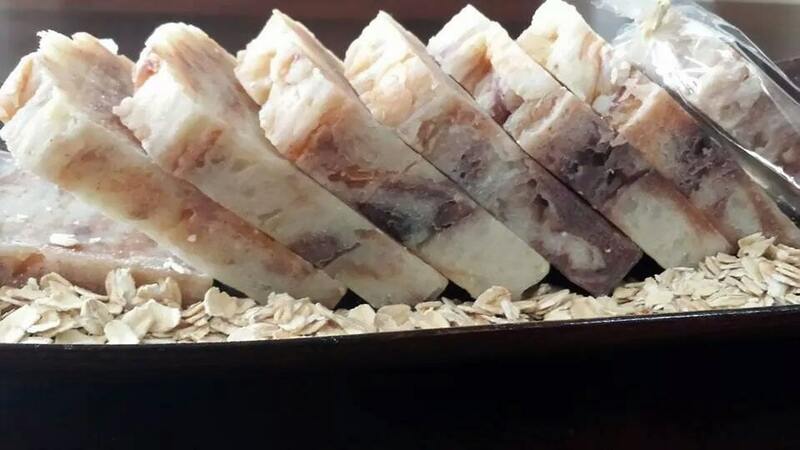 Due to the custom cut of these bars and the individual wrapping we ask that you order 2-3 weeks in advance. Basket and serving tray NOT included. Customized label NOT included. These bars come with ingredient labels only. 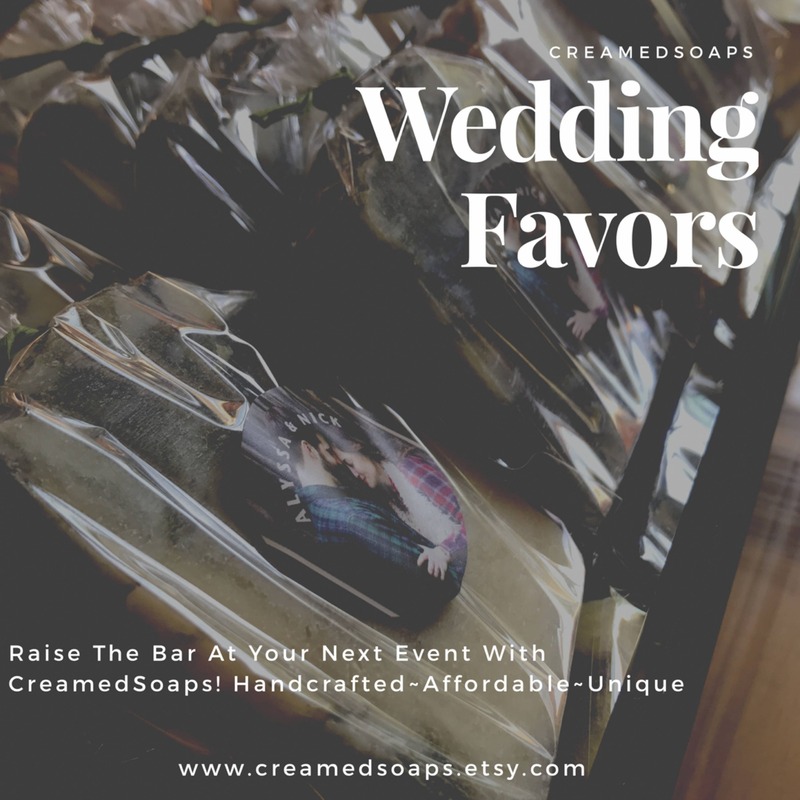 If you have a customized label created for your event, please send a direct message so you can arrange to have these added to your bars during production.